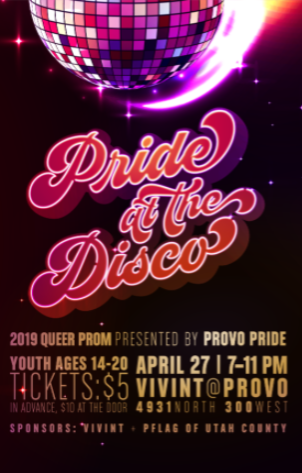 Take your pride to the disco dance floor for this year's official Provo Pride Queer Prom! Come and wear your pride on your sleeves. Be yourself and have a great time! Why: Everyone deserves to have an amazing prom made just for them.